The Y has been teaching people to swim for more than a century. In our aquatics programs, participants learn to be safe around water and feel the sense of accomplishment that comes from learning something new. In our swim lesson programs we use a problem solving, guided discovery teaching approach in a positive and caring environment. Our philosophy is that swimming should be taught in a positive way, free of criticism and full of praise. By celebrating even the tiniest gains, children can develop lifelong skills that will help them stay healthy. 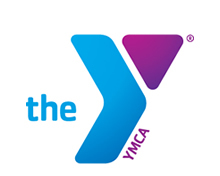 The Marshfield Clinic Health System YMCA aquatic programs offer something for everyone. We offer year round parent-child, preschool, youth progressive, teen and adult swim lessons, water exercise classes, an Arthritis Foundation program, beyond barriers aquatics for participants with disabilities, a competitive swim team and private swim lessons for children and adults. In the spring, we have classes to help children and families learn how to be safer around water including YMCA Splash and our Waterwise program. In addition, we offer American Red Cross safety certification courses for professionals and the general public throughout the year. Click on the tabs for further descriptions of our aquatic programs.